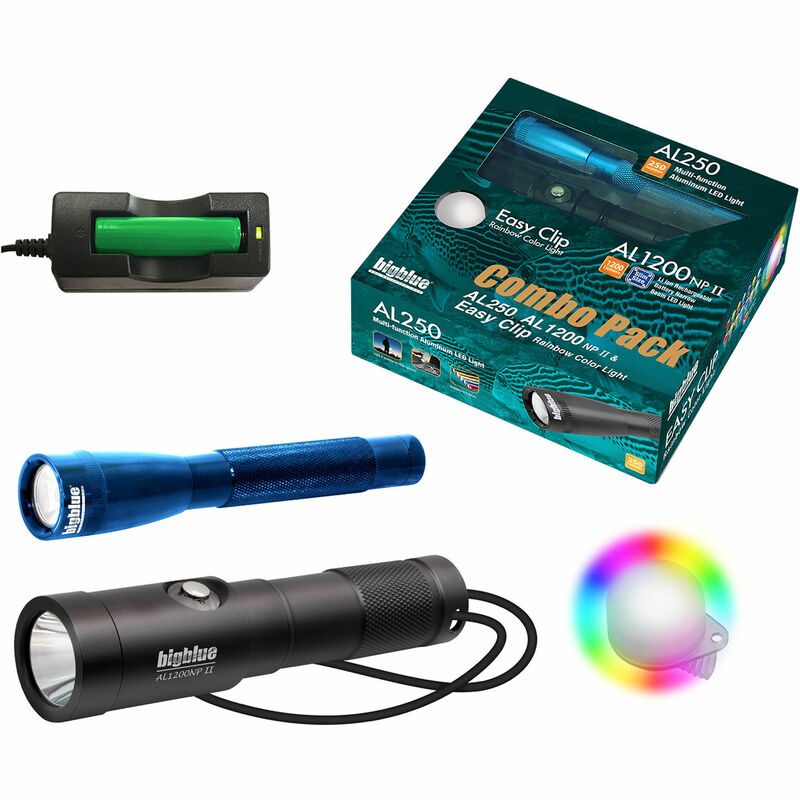 The Combo Pack: Blue AL250 & AL1200NP-II Dive Lights with Rainbow Clip meets a wide range of diving needs, with two dive lights and a rainbow-flashing marker, all depth-rated to 328'. The black AL250 is a compact, 250-lumen LED light that runs on two AA batteries, turns on and off with a head-twist switch and shines a tightly focused 8° beam for close-up detail work. The rechargeable AL1200NP-II LED light delivers a narrow 10° beam with four output levels from 120-1200 lumens. Both lights have anti-corrosion anodized aluminum housings, and both are suitable for use on dry land.